Another year has flown by and its time to welcome in 2016! Tonight at the Landfall Clubhouse from 5:00 to 8:00 is a New Year’s Eve party for families. There will be champagne and sparkling grape juice for everyone at “midnight.” There is limited seating so call ahead to reserve a seat. Tomorrow night at 6:00 at the Landfall Clubhouse is the New Year’s Eve party for adults, featuring a DJ, dancing, appetizers, cocktails, a countdown party, and a special prix-fixe menu until 10:00. For guests who would like to come for dinner the price is $60.00, or for those who want to come to just the countdown party the price is $10.00. Wherever you spend your New Year’s Eve we hope you have a great night and a wonderful new year! With Christmas only 4 days away, what better way to enjoy it than by watching a classic Christmas movie? “It’s a Wonderful Life” is playing at Thalian Hall tomorrow night at 7:00. The heartwarming movie is shown annually at the theater and has become an event families look forward to every year. The showing costs $10.00 and you can purchase tickets at the theater or ahead of time by calling the center box office at (910) 632-2285. This Saturday, there are holiday events all over Wilmington for you to attend and enjoy the Christmas spirit. Starting Saturday and lasting until Thursday, you can go Christmas caroling with Santa and his reindeer. The Horsedrawn Carriage Tours in Historic Downtown Wilmington are offering this unique experience every night from 6:00 to 10:00. For more information on the tours visit their website at http://horsedrawntours.com. Also, on Saturday at 2:00pm and 7:00pm “A Christmas Carol” will be performed at Thalian Hall. This version of the classic from Charles Dickens takes place in St. Louis in the depression era. For more show times and tickets visit http://www.thalianhall.org. The Opera House Theatre Company presents “Hark the Herald Angels Swing VII: A Christmas Cabaret at the Blockade Runner on Saturday night. Starting at 6:00 the event includes cocktails, dinner, and a show. To learn more about the Opera House Theatre Company go to http://www.operahousetheatrecompany.net. Tomorrow, Thursday, December 17th, it’s the Holiday Social at the Landfall Clubhouse. The family event starts at 6:00pm and includes activities for all ages. There is a jingle-all-the-way Christmas light hayride, holiday tree lighting, family bingo, and live music. Enjoy the complimentary hors d’ oeuvres and drinks by signature. The price for adults is $18.00 and children are $12.95. To RSVP call the Landfall Clubhouse at 910-256-8411. With our weather this weekend in the 70’s, it’s the perfect reason to spend time outdoors at Wrightsville Beach. On Saturday, December 12, it’s the Jingle Bell 5K Run. The run, which encourages participants to dress as santas, reindeer, snowmen, and other holiday characters, is a great activity to get in the holiday spirit. If you would like to run in the event or cheer the runners on the run starts at 9:00am at the Wrightsville Beach Museum. To register online go to https://its-go-time.com/jingle-bell-run/. Another event at Wrightsville Beach on Saturday is the Cookie Walk at Wrightsville United Methodist Church. Lasting from 9:00am until 1:00pm the bake sale includes thousands of cookies, candies, and other treats. Proceeds from the bake sale benefit church missions. 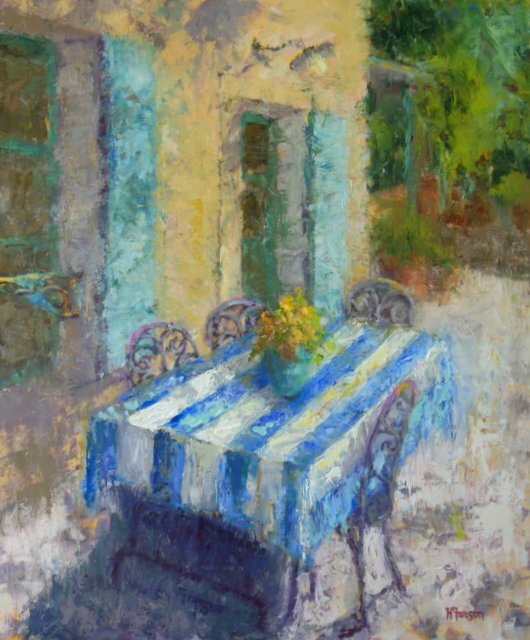 paintings featured in galleries and private shows, Helen has emerged as an outstanding impressionist oil painter. 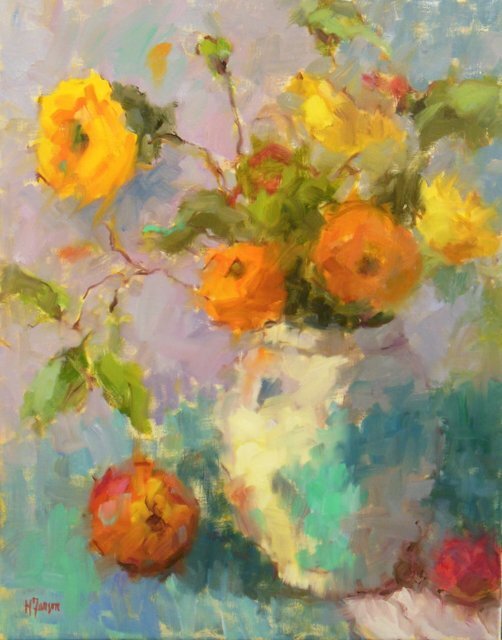 In addition to Landfall Realty, the Art Affaire is hosted by Weezie Gordon and Joan Rodgers; two of Helen’s friends who have worked in the art business and have her paintings in their homes. On Friday, December 11th, the art show will be held from 4:00 to 7:00 and Saturday, December 12th, from 10:00 until 5:00. The Landfall Realty Office is located at 1720 Drysdale Drive. Cheese and wine will be offered on Friday evening and on Saturday there will be cookies and punch. 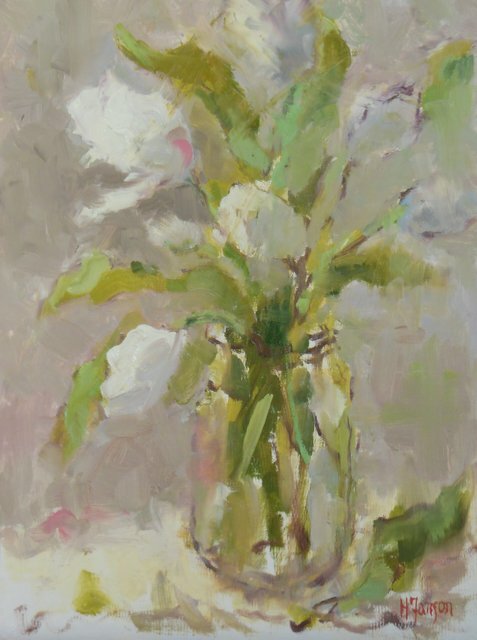 Come enjoy some holiday cheer surrounded by Helen’s beautiful oil paintings! 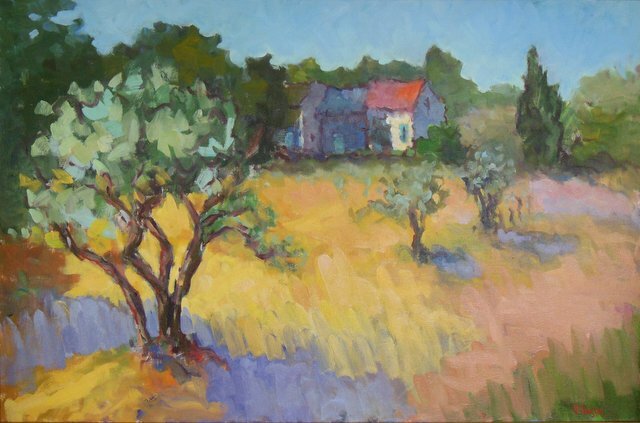 For more on Helen’s paintings and credentials visit her website www.helenfarson.com. Or for more on the event call Landfall Realty 910-256-6111. This Sunday, December 6th, there are three fun holiday events for families to attend. The first is “Dinner with Santa” at the Landfall Clubhouse at 5:00pm. In addition to dinner, the event includes cookie decorating, a hot chocolate bar, the movie “How the Grinch Stole Christmas,” and more! The price for adults is $22.00 and children 5-12 are $12.00. Also happening on Sunday is Wilmington’s 13th Annual Holiday Parade in Downtown Wilmington. The parade starts at 4:55pm and runs along North Front Street and Walnut Street ending at Church Street. The festive floats and Christmas music are a great way to get into the holiday spirit! Additionally, Santa will be making an appearance at the Cotton Exchange. Cape Fear Academy is hosting a Holiday Market on Sunday from 11:00am to 4:00pm. Admission is $7.00, which allows you to shop from hundreds of vendors. Some vendors include Blue Hand Home, Mommy’s E-Z Baking, Motor Couture, Calypso Cottage, Olivia Soap, Coastal Urge, Reeds Jewelers, South End Outfitters, and Fabulous Finds. For more on the Holiday Market visit http://www.cfaholidaymarket.org. Today, December 1st, is the annual Holiday Market at Landfall. From 4:00pm to 8:00pm come join your friends and neighbors at the Landfall Clubhouse to shop great deals from a variety of vendors. Some of the items on display for sale include children’s toys, men’s gifts, home and holiday décor, gift baskets, jewelry, and clothing. The price to attend is $20.00 per person and all proceeds, including a portion of the sales, go to the Landfall Foundation, which benefits the Wilmington community. Last year over 500 people attended this event, and you do not need be a club member to attend. There will be complimentary hor d’oeuvres and cash bar or drinks by signature. To buy your tickets or to see a full list of vendors go to landfallfoundation.org.